On this tour, we’ll explore two very different histories in the scenic city of Potsdam. First of all, for almost three hundred years, Potsdam was the home of the Prussian royal family, the Hohenzollerns. 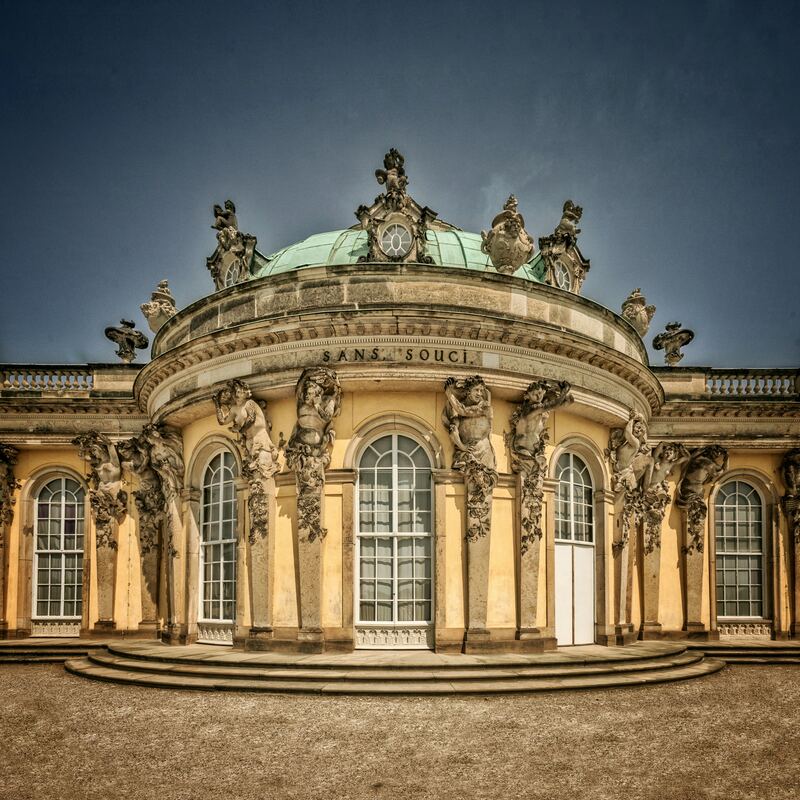 We’ll stroll through the parks designated as a UNESCO World Heritage site and visit the picturesque palace of Sanssouci, created during the remarkable reign of Friedrich the Great. We can pay tribute to Friedrich with a potato at his gravesite (you’ll see why!) and visit the lovely gardens of Sanssouci with their proliferation of surprises, including the Chinese teahouse and the Italian-inspired Church of Peace. We’ll see Potsdam’s own Brandenburg Gate and its Russian and Dutch quarters, with a stroll through the restored 18th-century town centre. We’ll also discuss a more recent history on this tour: the Potsdam Conference of summer 1945, in which Churchill, Stalin and Truman negotiated terms for their occupation of post-war Germany, and in which the ideological rifts which generated the Cold War were already beginning to grow. We’ll visit Cecilienhof Palace, the setting of the conference, and see the quarters of the three leaders as well as the round table at which negotiations took place. We’ll also stand upon the Glienicke Bridge, used on a number of occasions for the swapping of spies from East to West – perhaps the most famous occasion of which saw the transfer of Francis Gary Powers in exchange for Rudolf Abel. We can go on to the site of the KGB’s ‘forbidden city’ and the prison which they established in this East German city during the Cold War.